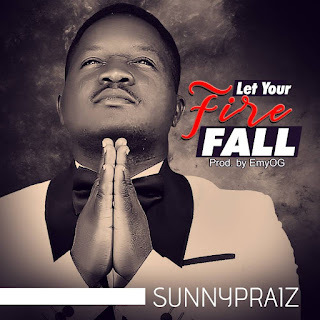 Fast rising Nigerian music minister; "Sunny Praiz" officially makes debut with the powerful song "Let Your Fire Fall", this is a true worship expression from the depth and passion of his heart to the God of all flesh. The song "Let Your Fire Fall" is a song that ushers in the move of the Holy Spirit, beautifully produced by One of Nigeria's finest producers EmyOg. This deep worship expression is better felt than told. Blessings! Ig; @sunnypraiz_official, Twitter @sunnypraiz, fb; sunnypraiz.